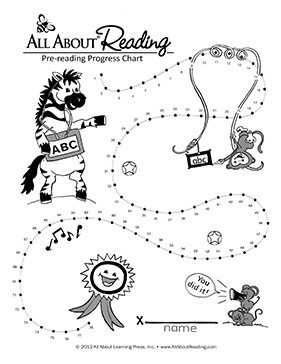 All About Reading Pre-reading Basic Package - All About Learning Press, Inc. The Basic set does not include the Ziggy Zebra puppet, Tote Bag, or Activity Box. Feel free to supply your own puppet and index card box. These items are also available separately or with the Deluxe set. Includes Teacher's Manual, Student Packet, The Zigzag Zebra book, Lizard Lou book, Divider Cards, and Letter Sounds A to Z app.